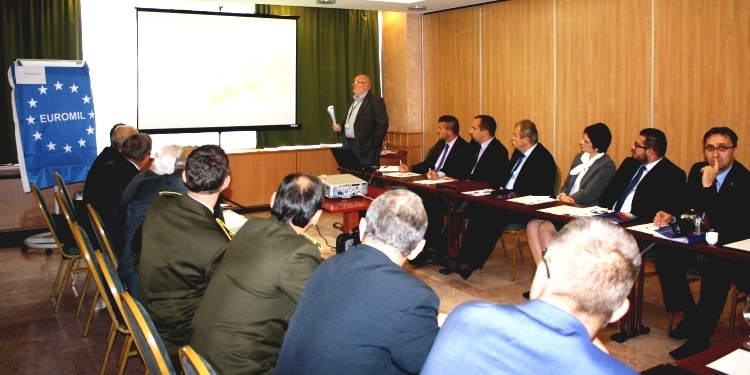 On 19 September, EUROMIL organised a conference on pension systems for security personnel in the Visegrad countries in Budapest, Hungary, which was co-funded by the Visegrad Fund. Due to the financial and economic crisis, state budgets are cut down, demographic changes lead to a situation in which the number of older people retiring exceeds the number of younger people entering the workforce: These developments put pension systems all over Europe to a serious test. Not only national governments, but also the European Institutions understood the importance of creating sustainable pension systems. While discussions mostly make a difference between employees, self-employed and civil servants, the specific situation of security personnel is often not dealt with. The conference brought together about 20 representatives from professional associations as well as the security forces and governments of Hungary, Poland and the Slovak Republic to discuss the issue of pension systems for the personnel in the security sector. EUROMIL President Jacob opened the meeting by introducing EUROMIL and its position on military pensions, afterwards the representatives of professional associations and governments had the possibility to discuss the specific situations in their respective countries and issues of common concern. EUROMIL will continue its work on the matter and will – on the request of the participants – organise a follow-up meeting in which also experts of other countries outside the Visegrad countries will be involved to share good practices from their states. For more detailed information, please contact the EUROMIL Office.